Researchers at the Department of Psychology at the University of London’s Goldsmiths College found dogs were more likely to respond to persons crying than to persons talking or humming. Moreover, the canines’ response was submissive and included tucked tails, bowed heads and nuzzling and licking. Deborah Custance and colleague Jennifer Mayer set up their study with 18 dogs, a mix of mutts and common breeds. The experiment took place in the dogs’ owners’ living rooms. Mayer arrived and ignored the dog so it took little interest in her. Then she and the owner took turns talking, fake crying and humming. Fifteen of the 18 dogs approached either their owner or Mayer during crying fits; only six approached during humming, suggesting the dogs were motivated by the emotional context of the situation, not curiosity. “The humming was designed to be a relatively novel behavior, which might be likely to pique the dogs’ curiosity,” Custance said. “The fact that the dogs differentiated between crying and humming indicates that their response to crying was not purely driven by curiosity. 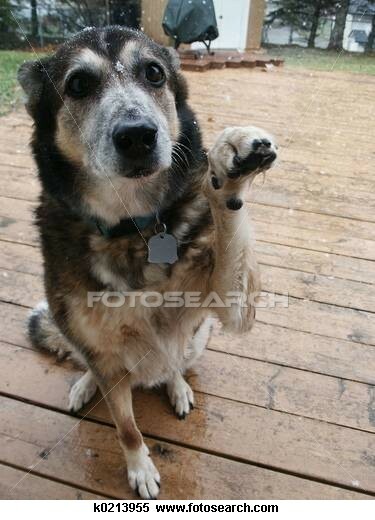 Another recent study by the Emory Center for Neuropolicy published in PLoS ONE showed that dogs, more so than other animals, were responsive to human hand signals. Similarly, Matthew Campbell, assistant professor at Georgia State University’s Department of Psychology, believes we have selectively chosen and bred dogs that are in tune with human emotions. 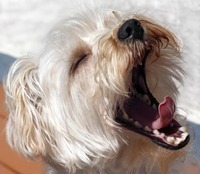 He points out that dogs show contagious yawning to human yawns. Custance and Mayer don’t claim to be dog whisperers, don’t claim to understand what was in the dogs’ minds as they made comforting gestures to distressed humans. They further said that their experiment opens the door for more studies of dogs’ emotional lives: studies directed at determining if different breeds respond differently to emotional situations and at determining if dogs understand the difference between human laughter and tears.